The small town of Pucón may have only 15000 residents but in the high-season in January and February it is extremely crowded and should be avoided at this time of year. The rest of the year it offers nature lovers a real paradise, is the starting point of many tours and offers a wide selection of accommodations, restaurants and travel agencies. Out of the many trekking routes, hikes and cycling routes we have made ourselves, there are some we can highly recommend. As always, we link them to our outdoor portal, which can also be used on our Trekkingchile app with the maps offline in the area. You can get a great overview of all the routes on our hiking map of the area. This is available in Pucón at TravelAid. Right in the centre of Pucón is the small cosy hostal La Tetera. 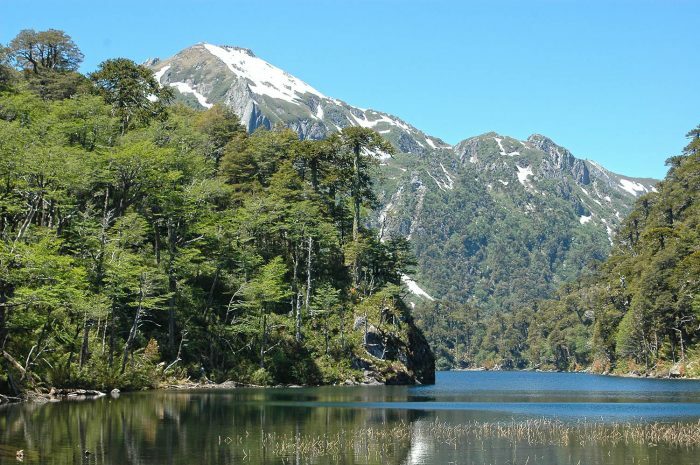 The Huerquehue National Park offers a good start. Reasonably, the ascent to the enchanting lagoons is very popular. Shuttle buses from Pucón even transport you to the park entrance. 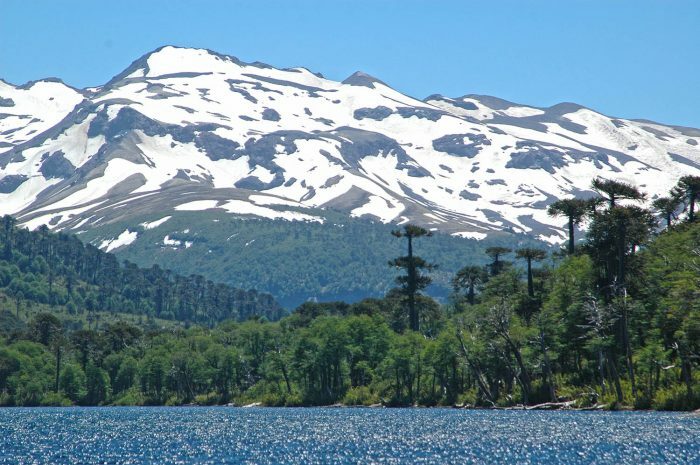 The ascent is not as spectacular, but arriving at the top you have a stunning panorama with araucaria, lakes and a rocky background. Another easy and also simple to organize hike leads to the private protected area Cañi. Here, too, the path is not the destination, the real treasure lies in the magnificent view of the surrounding volcanic world from the highest point of the tour, the eagle’s nest. The Laguna Verde is actually even more beautiful, but the journey is much longer. Shortly before the Argentine border a path leads to several lagoons. The real King though is the highest volcano in the lake area, the 3747 m high Lanín. North of it and only accessible by private transport, there is another lake, the Laguna Huesquefilo. Also decorated with light araucaria forest, it hides from most hikers. 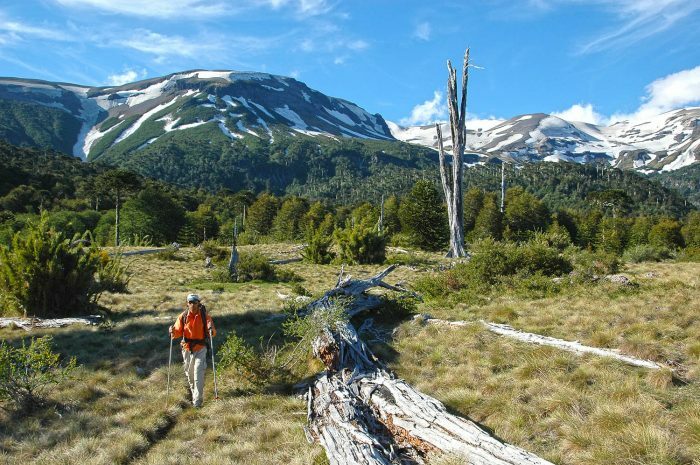 Trekkers follow rio Carilafquen to the north and climb Nevado Sollipulli from there. Like a hollow tooth, it rises out of a dense forest, filled with glacial masses from the Ice Age. 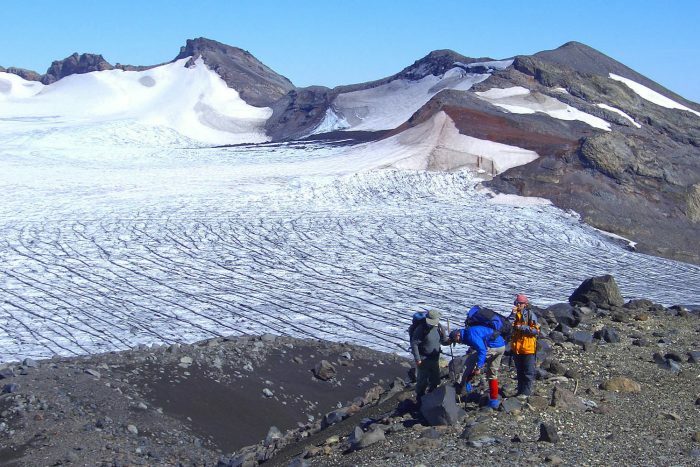 Only very experienced trekkers cross the glacier and descend south over Laguna Cochor towards Reilgolil. From here the road leads back to Pucón. Here you will find the hiking map of Pucón and its surroundings. The Laguna Cochor, however, can easily be visited on a day trip on the southern route. A lake cannot be located much more beautiful, Cochor is one of the most stunning lakes in the region. 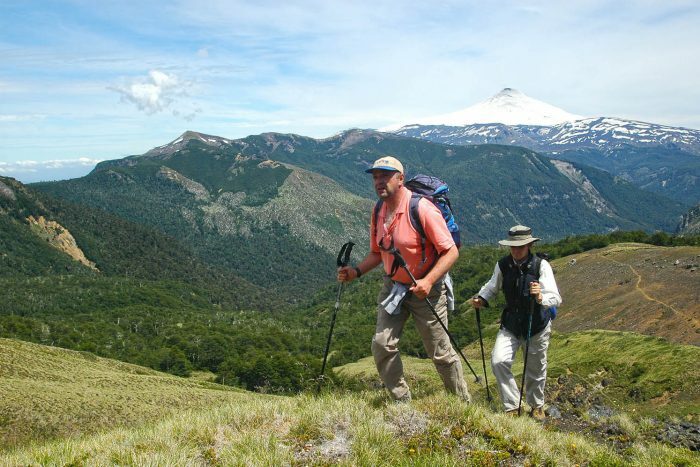 Those who prefer to travel longer with their backpack will find powerful trekking tours in Pucón. 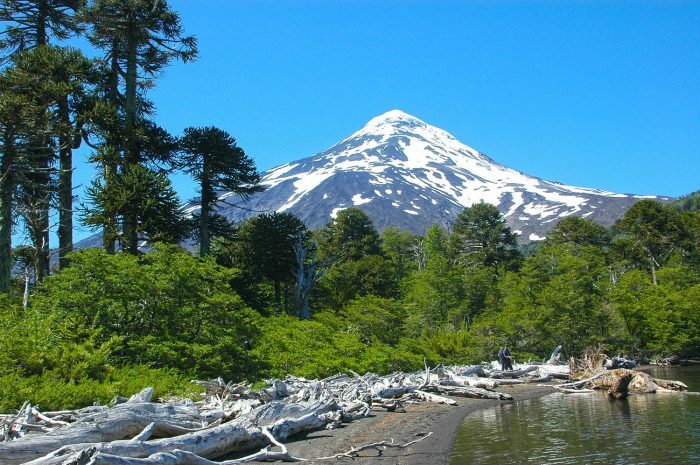 One of the oldest routes in Chile leads on two sections around the volcano Villarrica to the Argentine border near Puesco. 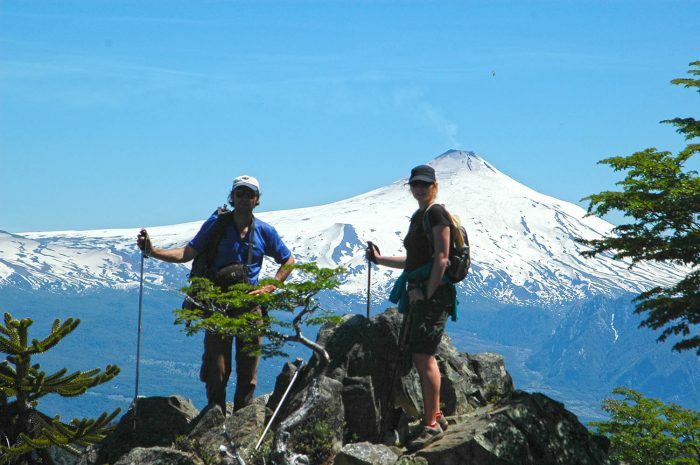 The route, legendary as Villarrica Travers, has not lost any of its beauty but is strangely not often trekked. 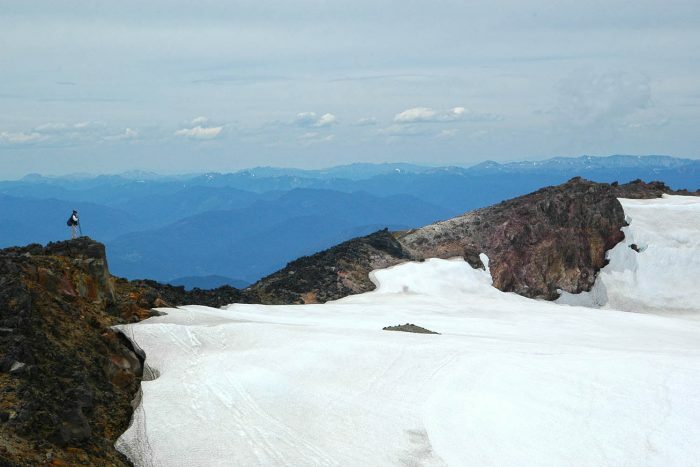 At summits there are a number of volcanoes that let their mostly snow-covered heads rise out of the rainforest. The King of the King is absolutely overcrowded and very expensive, but he is and remains a star. Those who cover themselves with glaciers and come up with an often bubbling lava throat may be vain. 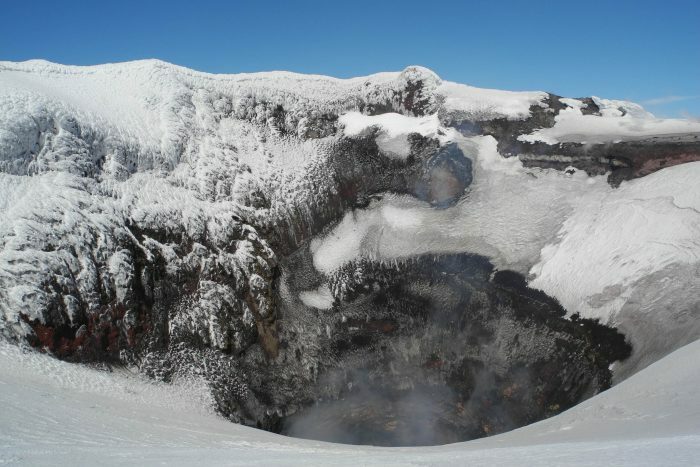 Therefore, I recommend to continue the ascent to the volcano Villarrica, it remains an unforgettable experience. Nice and quiet but unfortunately not easy to reach. The view from the long volcano Quetrupillan is at least as beautiful and you will be mostly alone. Cyclists should avoid the high season, since there are simply too many vehicles on the road and dust the slopes. During the rest of the year two routes are very popular. The route past the airport to the Ojos de Caburga but also the tour to the waterfall at the Rio Turbio are easy to do in one day from Pucón. So now go ahead, do something and leave a comment about the tours on our outdoor portal.